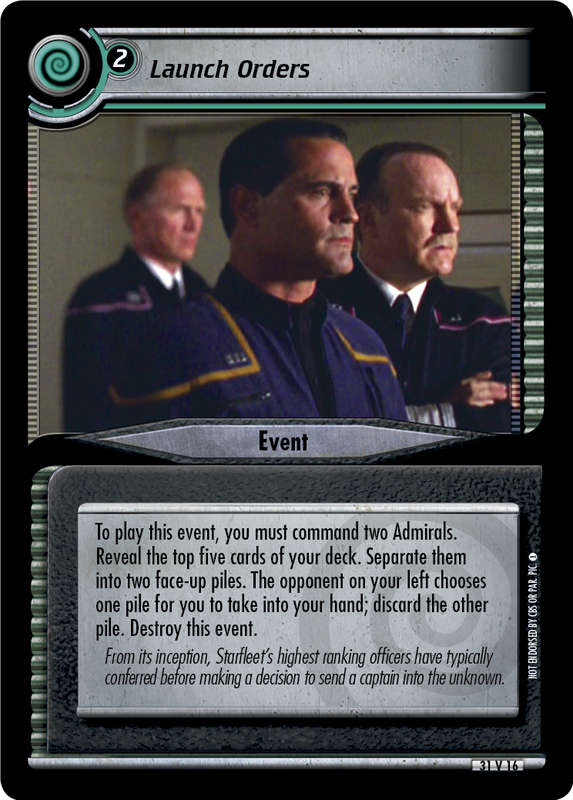 To play this event, you must command two Admirals. 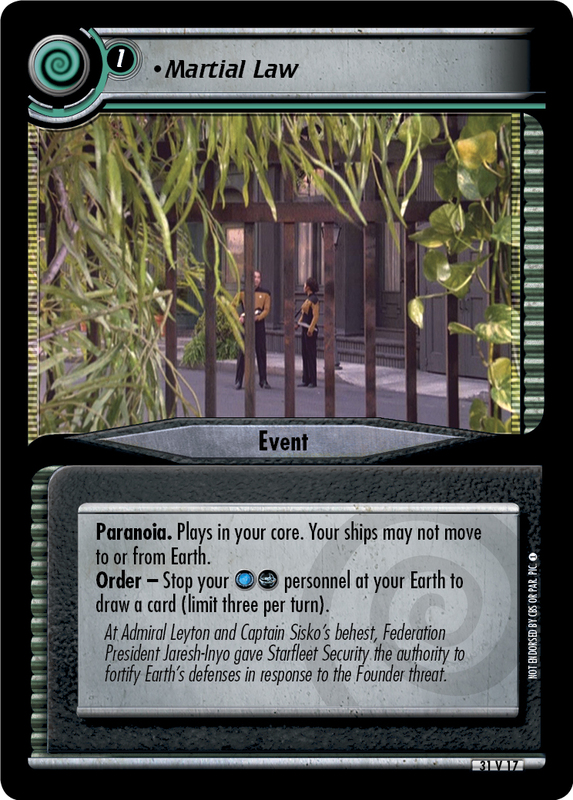 Reveal the top five cards of your deck. Separate them into two face-up piles. The opponent on your left chooses one pile for you to take into your hand; discard the other pile. Destroy this event. 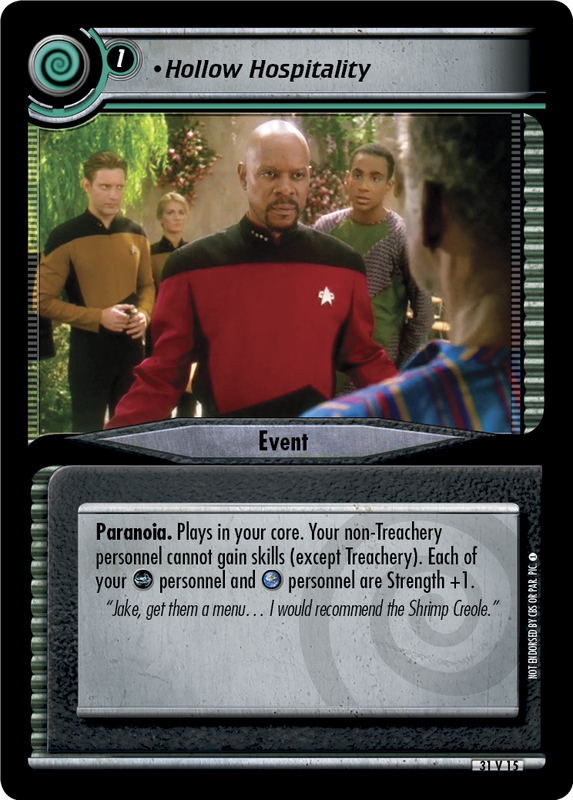 From its inception, Starfleet's highest ranking officers have typically conferred before making a decision to send a captain into the unknown.